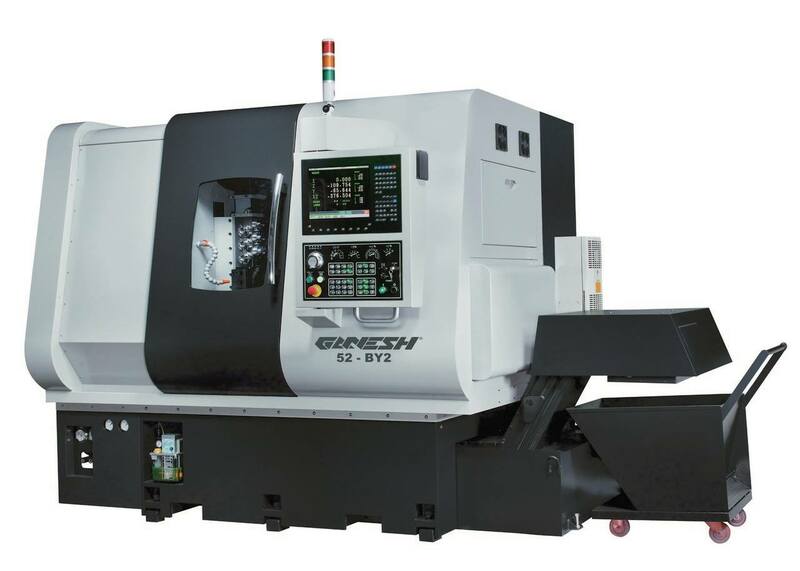 In December 2013, we added a brand new Ganesh Cyclone 52-BY2 lathe to our shop, with an attached 12′ magazine bar feeder (2″ capacity). This 9-axis lathe can run fully unattended (e.g., lights out at night), auto-loading new bars of material and sending finished parts out the conveyor belt. There’s nothing better than opening the shop in the morning to see a basket full of beautiful finished parts waiting for us!